This set of three black widow throwers will be the talk of all your friends once they see what you have. 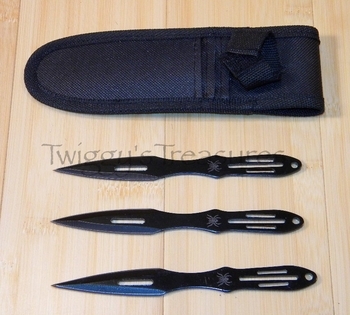 Throwing knives have long been the perfect weapon of all Ninja. ▪ Blade Length: 2 1/2"